GM’s Day was born on EN World in December 2002. Originally a simple messageboard post by EN World member Spunkrat (later renamed Heathen72), the idea quickly gained popularity, championed by Mark Clover of Creative Mountain Games and, of course, EN World itself. 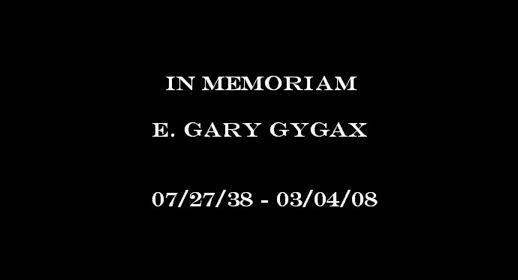 Marth 4th is also the anniversary of the sad 2008 passing of Dungeons & Dragons co-creator Gary Gygax. 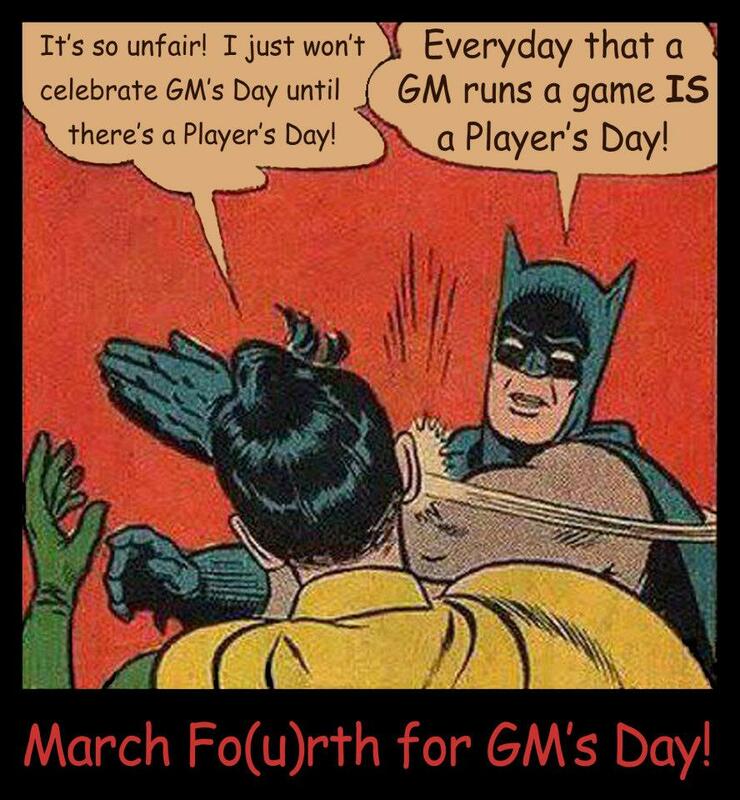 GM’s Day is an annual day to show your GM (or DM, or Storyteller, or Referee) how much you appreciate them. Publishers and retail outlets across the world now join in GM’s Day, offering discounts, sales, and other cool stuff. From a single messageboard thread, GM’s Day now includes hundreds of publishers, websites, bloggers, and more! In particular, check out RPGNow/DriveThruRPG’s massive GM’s Day sale. On March 4th, be sure to show some appreciation to your GM – perhaps buy them a gift, offer to pay for the pizza that night, even a simple “thank you”. Posted on February 27, 2013 by Admin	• Bookmark the permalink.